Following a dramatic late night vote that saw Senators reject Majority Leader Mitch McConnell’s (R-KY) so-called “skinny” bill repealing the Affordable Care Act (ACA), lawmakers from both sides of the aisle are publicly calling for a fresh approach to reforming health care that embraces bipartisanship and transparency, and actively seeks solutions from experts who know health care best, including America’s 3.6 million nurses. Sens. 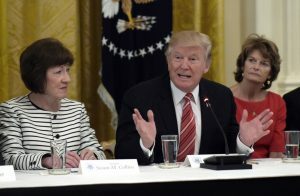 Susan Collins (R-ME), John McCain (R-AZ), and Lisa Murkowski (R-AK) joined with all 48 Senate Democrats to vote against legislation that would’ve stripped the individual and employer mandates introduced by the ACA, among other harmful provisions, and which was intended to pave the way for a conference committee of representatives from both chambers, who would be responsible for crafting a bill that both could pass. But House Speaker Paul Ryan (R-WI) seemed unwilling to guarantee that his chamber wouldn’t just skip the conference process and pass “skinny” repeal itself, prompting McCain and others to publicly withhold their support early yesterday evening. While subsequent assurances from Ryan and Vice President Mike Pence were enough to win back the support of some of those Senators, McCain ultimately came to the same conclusion as his colleagues from Alaska and Maine, and voted no. 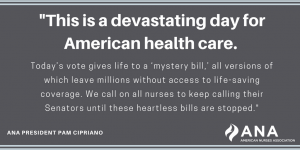 The nursing community showed up like never before in this fight, driving thousands of calls and e-mails to Congress. Hundreds traveled all the way to Washington, DC last month to deliver our message face-to-face with our legislators: The only way our country can truly reform our healthcare system is by working together. No more closed doors. No more dead-of-night deals. No more decisions made without a single nurse consulted. While this victory is heartening, we know there are those who will continue pushing lawmakers and the administration to undermine our health system and harm those who have gained coverage as a result of the ACA. If you haven’t yet, please join our RNAction community to learn more and get the latest updates on how you can help ensure that our representatives in Washington continue to protect our care and put patients first. “Skinny” repeal is all the rage in Washington these days, as Senators look to a bill that would undo one of “Obamacare’s” least popular provisions: the individual mandate, which requires all Americans to carry health insurance or face a stiff tax penalty. In theory, eliminating this mandate might sound like a pretty good deal. So why are some calling the “skinny” repeal the “sham” repeal? In short, because the skinny/sham repeal would destroy the individual health insurance market. Keep in mind that the skinny/sham repeal eliminates the individual mandate without eliminating the requirement for insurers to cover preexisting conditions, which happens to be one of the most popular provisions of the Affordable Care Act (ACA). Imagine: you know that insurers have to cover everything the moment you purchase health insurance. If you are a smart consumer, what do you do? If you answered “not carry health insurance until I get sick or injured,” you win, and the insurance markets lose. This is similar to the way COBRA works; you wait until you get sick to use it, because it will cover everything the moment you take it out. That’s one of the reasons COBRA is so expensive. The net effect of repealing the individual mandate? Insurers lose money hand over fist and choose to either leave the individual market or go out of business. That’s why the Congressional Budget Office (CBO) has already estimated that simply cutting the individual mandate will cost 15 million Americans their health insurance coverage. This is why the preexisting condition exclusion and the individual mandate go hand in hand. You can’t have full coverage of all preexisting conditions without the individual mandate. To think otherwise is simply misguided, and to try and pass it into law for the sake of political expediency is simply alarming. UPDATE: Following their successful vote on the motion to proceed, Senate Republican leadership saw a subsequent vote on a bill with amendments from Sens. Ted Cruz (R-TX) and Rob Portman (R-OH) fail. Votes are scheduled to resume Wednesday morning. By the thinnest possible margin, Senate Republicans voted today to begin debate on their various proposals repealing and possibly replacing the Affordable Care Act (ACA), each of which would strip coverage from millions of Americans and devastate our country’s health care system. Only Sens. Susan Collins (R-ME) and Lisa Murkowski (R-AK) chose to break with their party, listen to their constituents, and reject these dangerous plans. We’re hopeful that their courageous example will influence their colleagues to do the same as more pivotal votes are taken. First, Senators will debate then vote on a repeal of the ACA without a replacement. This is widely expected to fail, but will still take place after being guaranteed to Sen. Rand Paul (R-KY) in exchange for his yes vote on today’s motion to proceed. Debate will then move to a modified version of the Better Care and Reconciliation Act (BCRA), which is also expected to fail due to last-minute changes that mean the bill must pass with 60 (rather than 50) votes, per Senate parliamentary procedure. The Senate would then begin what’s known as vote-a-rama, with amendments from Democrats and Republicans under consideration, most likely to the House bill (the American Health Care Act, or AHCA) in the event that the previous two bills fail to pass. The final bill that results from this process will also have difficulty garnering a majority of yes votes. 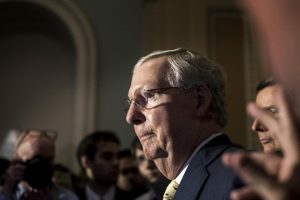 The final expected vote will then consider a substitute put forward by Majority Leader Sen. Mitch McConnell (R-KY), and which will include a simplified version of the plan Republicans actually want to pass. 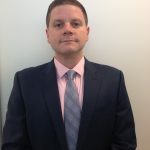 If successful, that bill would then be taken up by a conference of negotiators from both the House and Senate, in the hopes of producing final legislation that both chambers could pass. As with today’s motion to proceed, Vice President Pence will be on hand to break any 50-50 tie. Once again, the lack of understanding around the final plan Republicans hope to pass is a sad commentary on a process that’s been anything but transparent, and has failed to give the American people a clear idea of the ramifications both for themselves and the country’s health care system. Click here to make your call now. Together, we can still win this battle.